Fearlessly Authentic. This is what I would call my personal journey that has been a few years in the making and it really all started with the most spiritually awakening and exhausting experience there is: becoming a parent. When I became a Mom for the first time, I was overwhelmed with happiness. The transition into my new life was so shockingly smooth and wonderful for those first few months that at times I actually wondered why people made this parenting thing seem so hard. Then I went back to work. All of a sudden, I had anxiety. I was depressed. I was overwhelmed. I cried every night thinking about leaving my new baby for 10 hours and also thinking about all the time I didn’t have to do so many things that were being asked of me. Nothing about this felt right, even though I had a career and co-workers that I really loved. Every part of my body and soul was fighting it. I kept thinking- how come nobody talks about this? How come nobody warned me that to be a fully present parent and successful in my career would feel damn near impossible? And that the amount of overwhelm & inadequacy I would feel would be paralyzing? How come everybody seems to act as if this is just what people do? WHAT IN THE ACTUAL HECK. So I started talking about it. A lot. Probably to the point of my friend’s and co-worker’s annoyance. I told my boss I was struggling to keep up but was doing the best I could. I talked to my friends about how I held this new sense of resentment towards my husband and I didn’t know how to process it. I talked to co-workers about how pressured I felt to be good at everything yet consistently feel like a failure at the end of every day. And the more I shared the more I was met by this beautiful chorus of “me too”. Furthermore, when I decided to pursue a different job with more flexibility to better balance work/home/motherhood- I was met by another chorus of “I wish I could do that”. Which hurt my heart and is another topic for another day. I love my girls and being a Mom. But sometimes I feel suffocated and depleted by motherhood. My husband is a good man whom I love. But sometimes I harbor strong feelings of resentment and rage towards him that have a negative effect on our marriage. I love my work, but I struggle with it fulfilling my whole purpose. I struggle every day with feelings of not being good enough. 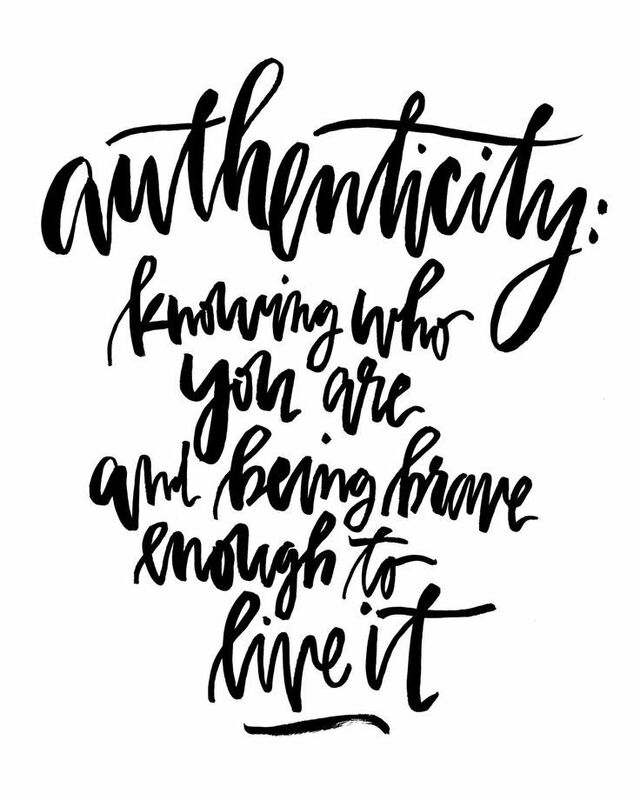 Being authentic does this powerful thing. It frees you from your own prison. There is this myth that when you share your vulnerabilities, you give them power. But on the contrary–it does the opposite. It sets you free. Free from trying to play the game, balance all the balls in the air and say everything’s fine when really you are on the verge of a breakdown. Nobody’s life is fine all the time. NOBODY. 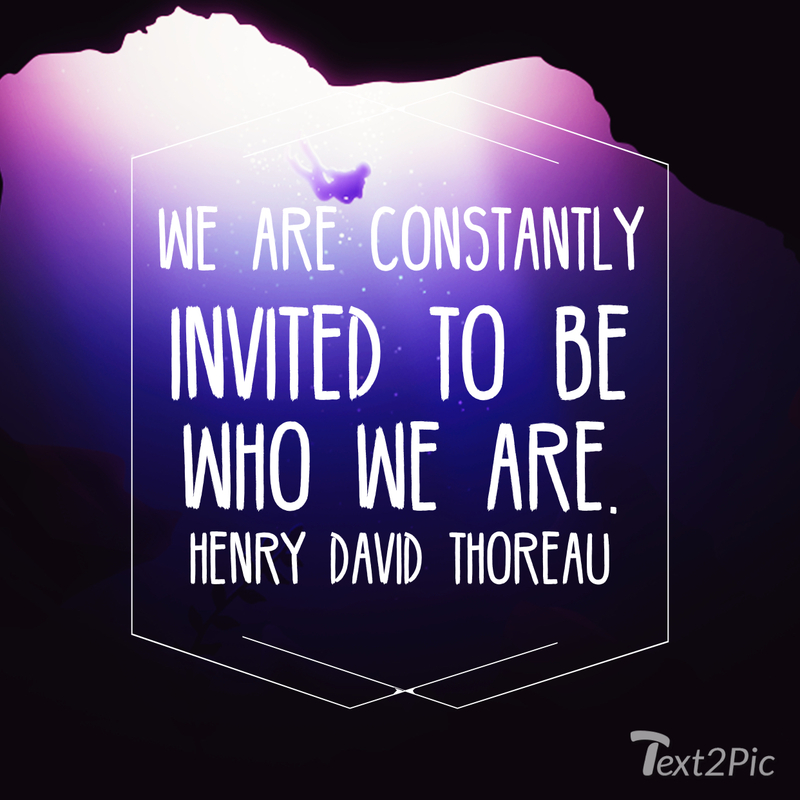 Authenticity has another powerful affect- that person you just shared your truth with? They have a truth they have been weighed down by and afraid to share, but you sharing yours, it frees THEM. Instead of that person walking away from you thinking “well he/she has it all together, so now I feel even more like a mess.” They feel empowered, they feel relieved that is not just them. I am not saying we need to share our woes with everybody who will listen, that isn’t healthy either. However, I believe the mental health of our society can be directly correlated to this isolation we bring on ourselves because we are fighting battles alone that should be fought together. Saying everything is okay does not make the darkness go away, it makes it darker. When you share your truth, slowly lights will begin to flicker. Those lights are other people whispering “me too” and then suddenly instead of being overwhelmed by that said darkness, you will be overwhelmed by light and community. This is the way to live, I believe it with my whole heart. Don’t miss any inspiration. Grab a cup of coffee, pull up a chair and subscribe here! Do you feel like your life is a bit out of control? Do these three things. Are you giving too much? Protect yourself and your schedule.